Please pray as I am having technical difficulties. 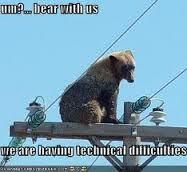 I will resume as soon as I can get things fixed. God be with you, grace and peace be fully upon you by the power of the Spirit may you keep running the race, so close to the finish line, for Yeshua and the Kingdom! To God be the glory!